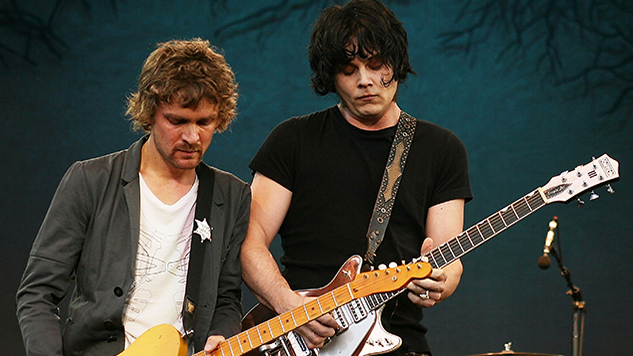 The Raconteurs have revealed that they are working on what will be their first new album in over a decade, set for a 2019 release. The announcement comes as part of the rollout for a tenth-anniversary reissue of the band’s Grammy-winning last studio album, Consolers of The Lonely, out through Jack White’s own Third Man Records’ Vault Series. 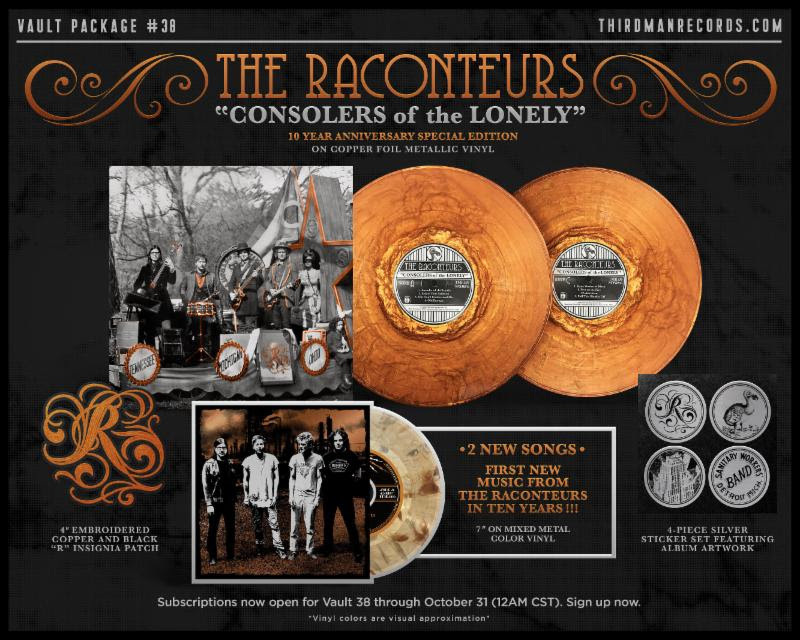 The reissue will contain a seven-inch with two newly recorded Raconteurs tracks, culled from “recent sessions that will ultimately result in a new Raconteurs album in 2019,” according to a press release. The tracks will not be made available on any streaming platform, and can only be heard by ordering the limited-edition anniversary package. In addition to the seven-inch with the new songs, the package will include a limited-edition copper foil metallic vinyl LP, reimagined cover art, an embroidered “R” insignia patch and a set of four 2.5” brushed silver stickers featuring art from the album. You can get access to all this by signing up for a Third Man Vault membership here. Check out the full details of the package below.